The Buffelshoek Farm Cottage is a lovely self-catering, pet-friendly cottage situated on a working certified organic olive and chilli farm close to the cute, rustic village of Van Wyksdorp. The cottage is only an hour and twenty minutes drive from Oudtshoorn and an hour and a half from Mossel Bay, making it an ideal stopover location for those on their way to the KKK festival in Oudtshoorn or those travelling to and from the Garden Route and Southern Cape.<br /><br />The cottage is fully furnished and contains two bedrooms, a kitchen, and a lounge and dining room. 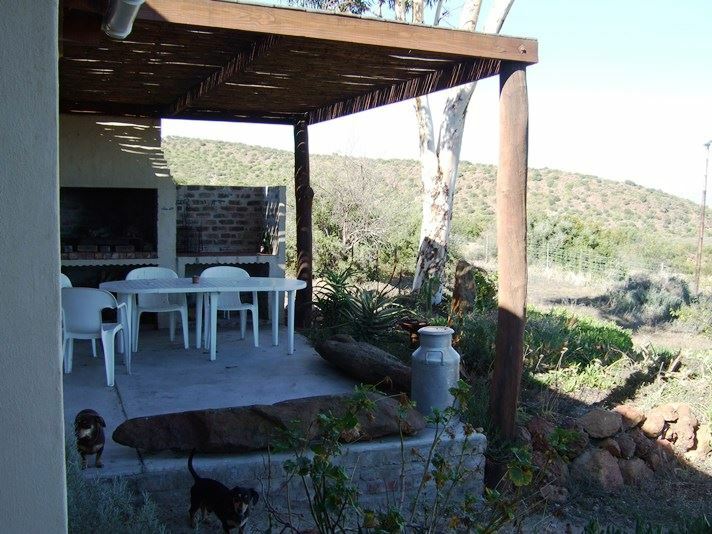 In addition, it has a large braai area with fabulous views over the valley and the Langeberg Mountains in the distance. 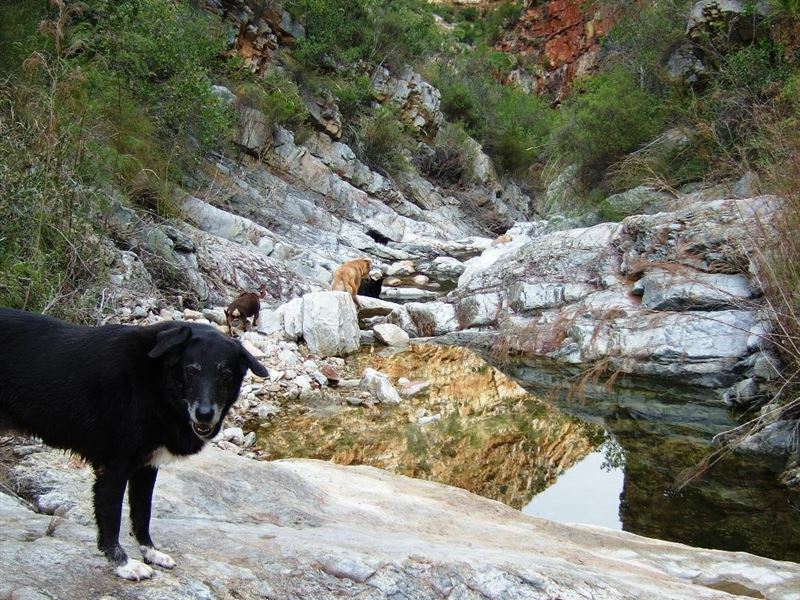 There is a big, beautiful dam for swimming; however it is only full after our winter rains. 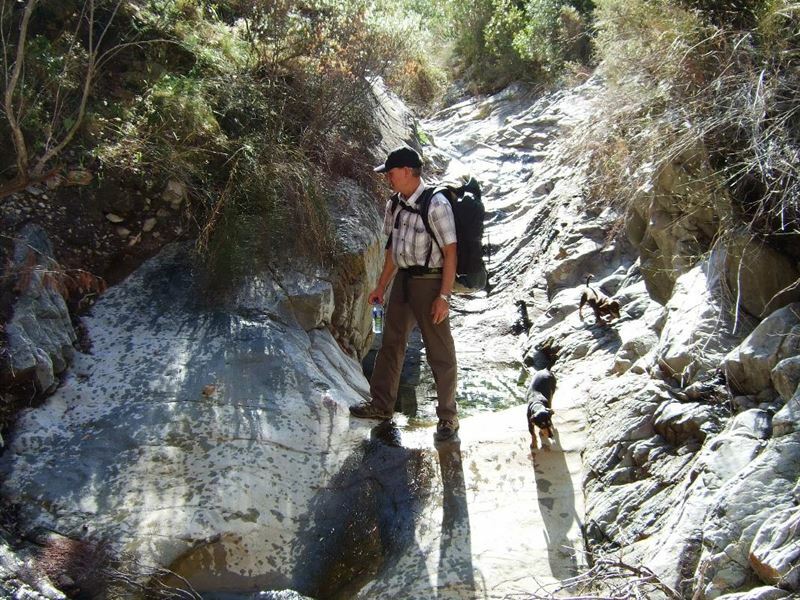 The cottage is situated next to a kloof and a mountain stream, which is fabulous for walking. 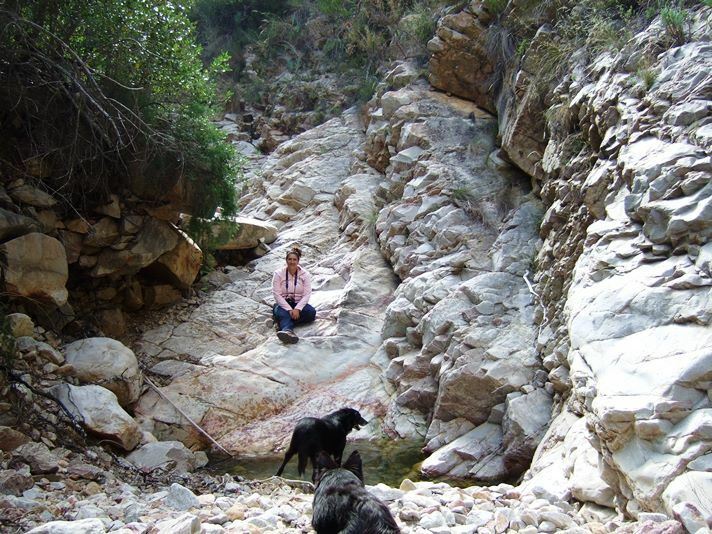 Mountain walks are abound and can be enjoyed for 15 minutes or for a whole day. There is also an eleven-circuit labyrinth in front of the cottage for walking and contemplation.<br /><br />For nature lovers we have, to date, 75 different species of birds on the farm, as well as many other species of small to medium animals. If you are lucky, you can spot the resident black eagle pair in the kloof.<br /><br />The cottage is located on a certified organic farm, the Buffelshoek Farm/Blue Sky Organics, which processes a range of organic products including olive oil, table olives, tapenade, olive jam, herb salt, assorted chilli sauces, sun-dried chillies in olive oil, and herb flavourants, dressings and salt. 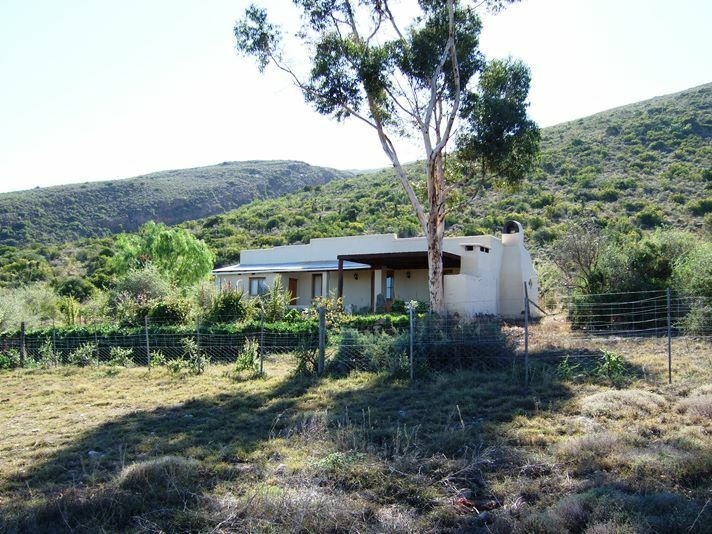 All of these products are available for sale.<br /><br />There are six stunning mountain passes within an hours drive of the cottage, namely Rooiberg, Tradouw, Garcia, Zeweweekspoort, Outeniqua and Huisrivier. Our closest village is Van Wyksdorp, with its historic water wheel, and Die Oog which is a huge stream of water coming out of the mountains that supplies the entire village with water. 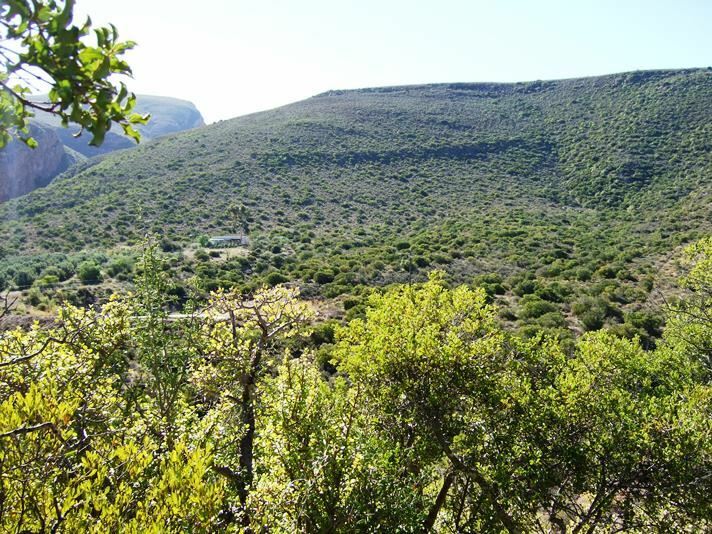 The Assegaaibos Game Ranch is a twenty minute drive away and the town of Calitzdorp, just over the Rooiberg Pass, is known for its port and award winning wines. "visiting Van Wyksdorp and the friendly people." 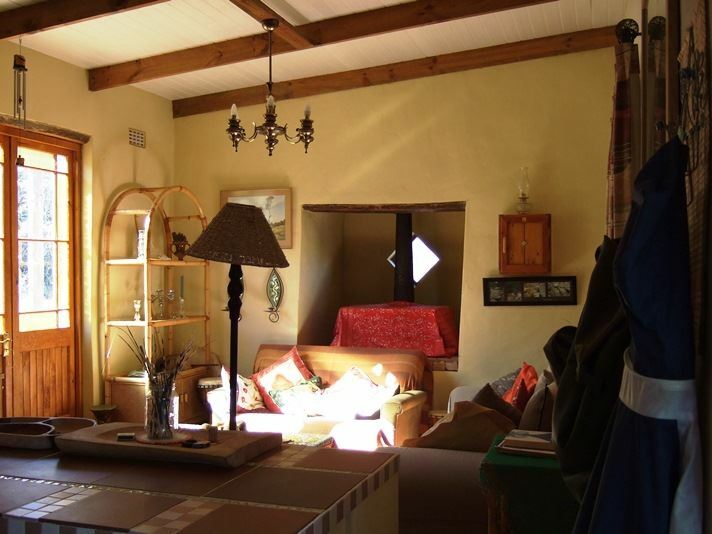 "Amazing small cottage (No cell service) in the heart of the Karoo. Beautiful walking trails and breathtaking views.Sunscreen, hiking shoes & citronella oil candles for an improved experience." "Quaint cottage. Microwave would be an improvement. Provide salt and pepper and why not a bottle of your olive oil - would promote sales!" 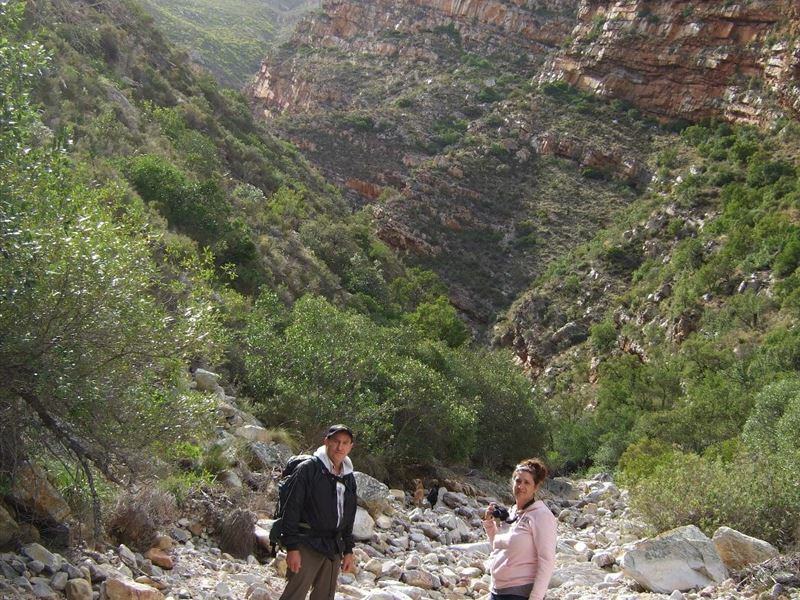 "The hike into the Kloof"
"Absolutely perfect getaway for solitude lovers! 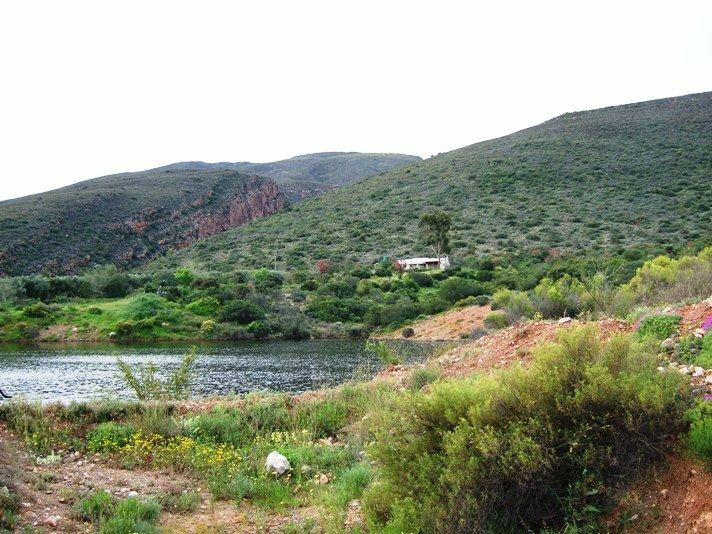 Great stay and we will certainly revisit this gem of the Klein Karoo"
"We feel at home in this typical nice farm house." "We stayed in the cottage for one night. Everything required to have a lovely stay was available in the cottage. The sun set was spectacular." "We only spent one night and will definitely return. The cottage is well-equipped and very private. We had some lovely walks into the kloof and through the olive trees. The owner has a lot of knowledge on organic farming and it was nice to hear some of her views." "We&apos;d never heard of VanWyksdorp prior to this visit but what a lovely place to visit. If you are looking for a quite retreat but with interestingnearbyplaces to visit, then you will not go wrong with a stay at Buffelshoek where Liz will make you feel very at home.The accommodation is delightfully rustic but equipped with all you will need and comfortable. We thoroughly enjoyed our stay and as one so often says in comments such as these, we certainly hope one day to return for an even longer stay. " "A gem in the mountains in the karoo. The view,the sunsets and the stars are stunning. We will return.Alison,Knysna, South Africa"